This kitchen counter is made out of Colonial Cream Granite. 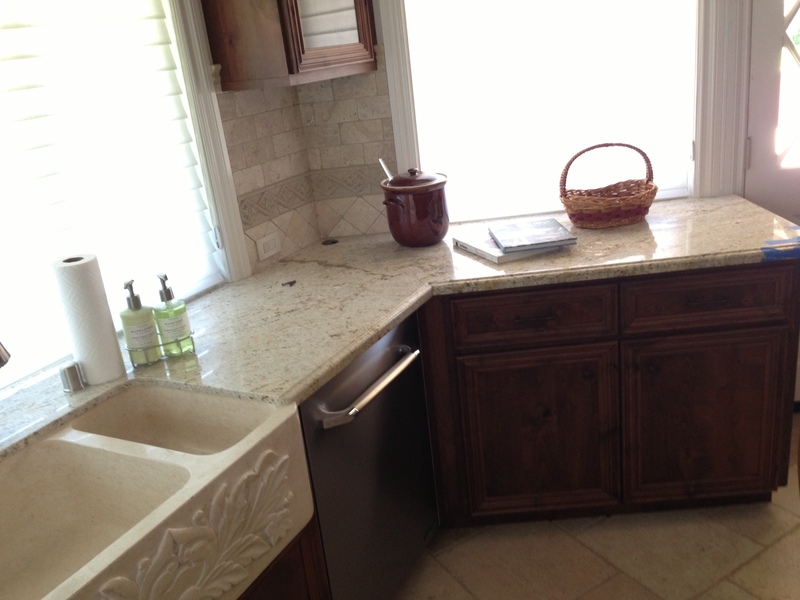 This stone brings a lightness to the kitchen. Notice the fine detail work and edging. 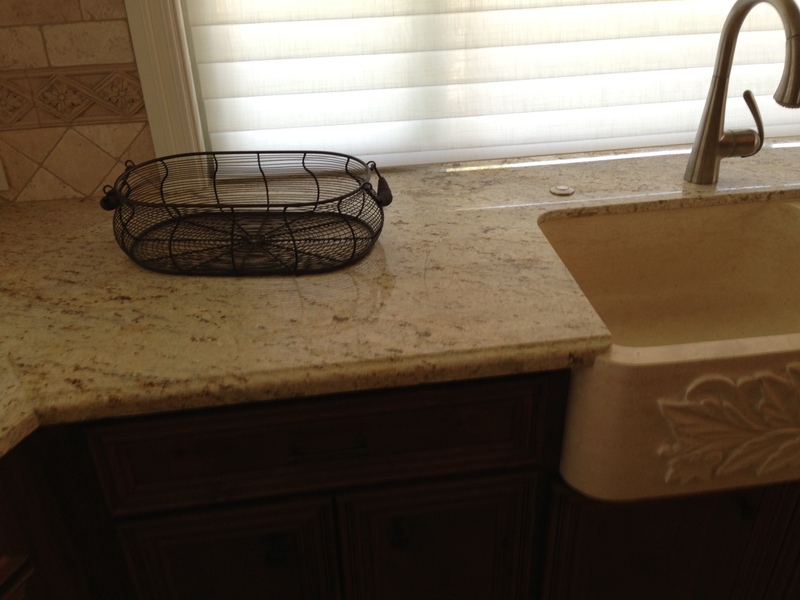 Soapstone Werks likes to work with all natural stones.